There are still some vendors out there delivering the real thing. Most noodle vendors today use meatballs from large factories to limit costs and to stay competitive price wise. But at Lan Shell Shuan Shim, you are offered the real thing. A delicious noodle soups, either with homemade pork balls or fish balls, just a few doors down from the Mahannop sign. Another popular dish is pork stew in red sauce (Moo Toong Namdaeng), and also the Khao Tom Ped that is served in the evenings. In respect of a popular Buddhist custom they avoid beef on their menu. 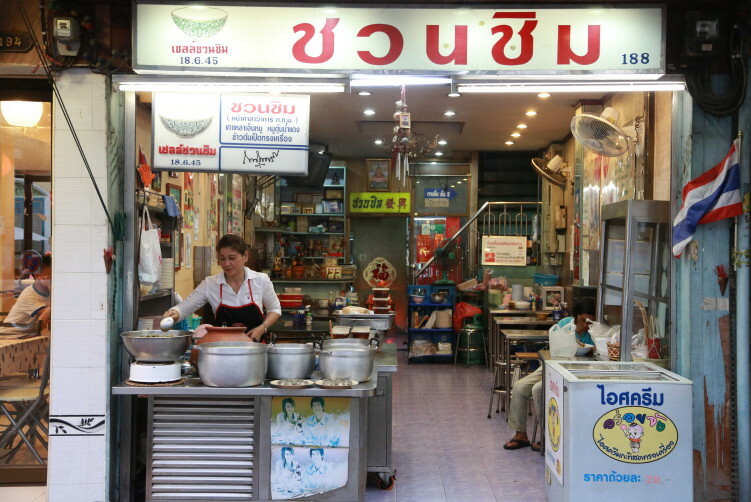 And the name of the shop is called Lan Shell Shuan Shim, indicating they have the prestigious Shell Shuan Shim award (the symbol with the green rice bowl), which was suported by the Shell oil and bass company until some years ago. When eating noodles, it’s all about three things, the freshness and quality of the ingredients, the cooking recipe and skills, and lastly, your own customization. I normally, but not always, prefer to heat the bowl with a bit of chili. The other add ons on the table are very much depending on the broth. At Lan Shell Shuan Shim, the broth is a solid and balanced mouthfull, so I prefer to stay with the minimum, some flakes of chili to put a little bit of fire into it. To the left of the City Hall, you find Mahannop road. But before going down that Road, continue down Dinsor road on the left side and you’ll soon see a resto at Dinsor road 188 (picture above). Let me also mention a couple of other strong recommendations when in the area. Mitr Ko Yuan opened their doors in 1966 and have served delicious food ever since. 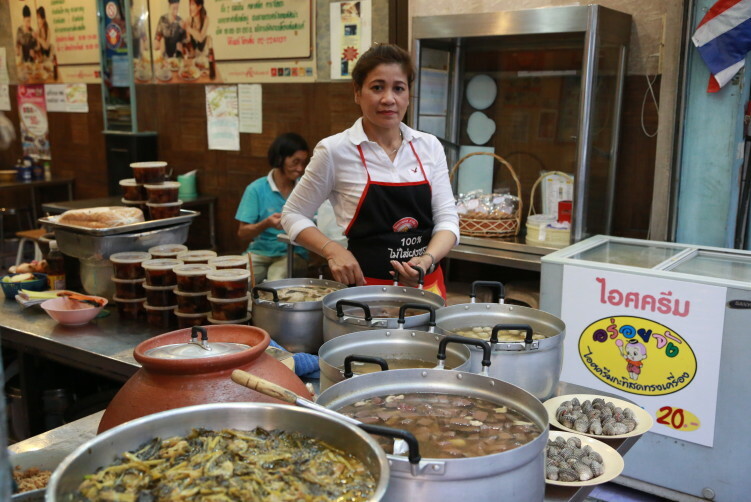 Krua Apsorn is your first choice in town for crabs. But they also have plenty of other good dishes. For duck lovers you have Tien Song Ped Yang nearby. viagra without prescription usa Open: 10 a.m – 3:30 p.m, then again 5 p.m – 10:30 p.m.
http://trustedtabletsonline24.org/ trusted tablets How to get there: Located in the Phra Nakhon district of Bangkok on Dinso Road Almost opposite the City Hall. Taxi is your best option if not in the area. Bus alternatives to Dinso Road are 10, 12, 19, 42, 89, 96. 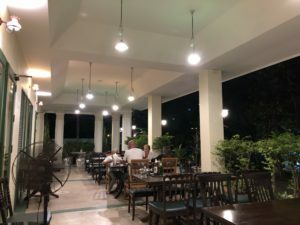 You find Lan Shell Shuan Shim opposite the City Hall (Bangkok Metropolitan Building), close to the intersection with Mahannop road. It’s between Democracy monument and Sao Ching Cha. Most noodle vendors today use meatballs from large factories to limit costs and to stay competitive price wise. But at Lan Shell Shuan Shim, you are offered the real thing. A delicious noodle soups, either with homemade pork balls or fish balls, just a few doors down from the Mahannop sign. See full review at StreetsideBangkok.